Contact us now and schedule your cellulite reduction treatment session in Las Vegas, Nevada. Cellulite is a structural skin change that occurs in most post-pubertal females whether they are thin or overweight. It presents itself as a modification of skin morphology evident by skin dimpling and nodularity that occurs mainly in women on the pelvic region, lower limbs, and abdomen, and is caused by the herniation of subcutaneous fat within fibrous connective tissue, leading to a padded or orange peel–like appearance. Cellulite can occur in women of all ages and tends to become more visible with age. Over time, the skin loses its thickness and thereby enhances the visibility of the unsightly cellulite bumps. How does VelaShape® work to help get rid of cellulite? Schedule your Las Vegas cellulite reduction consultation or session today! Get immediate results! Find out what customers are saying about VJazzy Wellness! 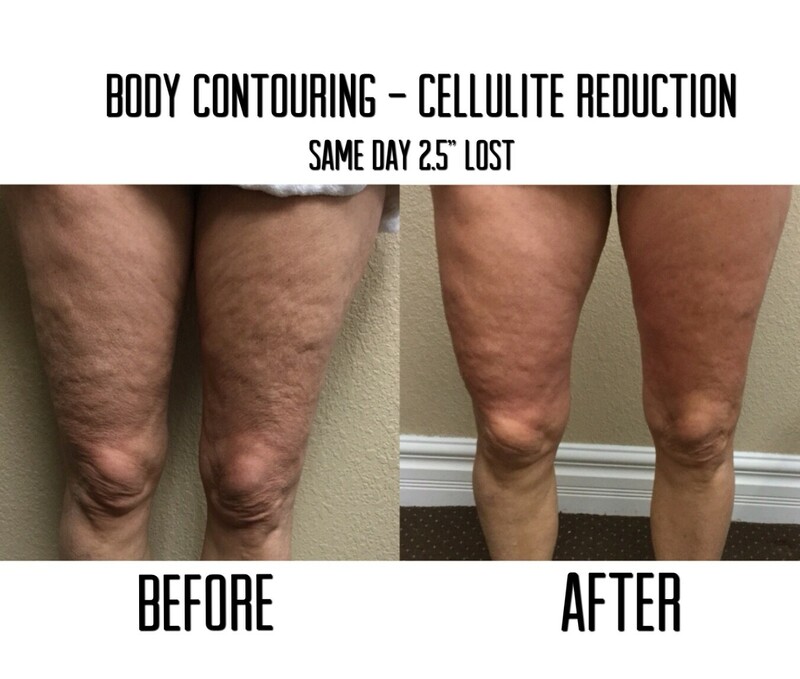 If you were satisfied with your Las Vegas cellulite reduction service, then please be sure to leave us a review on one of the following sites. We appreciate the support! Join our many satisfied customers and book your appointment today! Call (702) 800-7406. Thank you for the fantastic treatment! They did really fantastic job. You never feel rushed and they takes the time to explain everything. I also appreciate that they doesn't try to upsell you with additional products or treatments. The prices are reasonable and I never leave with bruises. Thanks! I look 10 years younger. Thank you VJazzy! Very nice service! I have always been very insecure about my acne and have never found someone that took the time to target my issues without pushing a ton of different products on me to try...that is until I met Vjazzy Wellness!! My skin has completely transformed since I began seeing them. They are so knowledgeable, easy to talk to and honest about what may or may not work for you. I definitely recommend them for all your skin care needs. they are the best!!!! Amazing staff and service. I was excited from the moment I arrived. Everything that they offer works! I recommend getting the Laser Lipo and the cellulite reduction together. The two go hand in hand and the results are wonderful. I lost 3 inches off my waist in one session! I have had several cellulite reduction treatments by Vjazzy Wellness and they have been very pleasant! They makes sure your experience is one you will remember and you will want to come back. Vjazzy Wellness is always pleasant and very personable, it is very important to their that they provides you with excellent services and they have always exceeds my expectations. Vjazzy Wellness did a great job. They knows how to treat your skin and make you feel at ease and relaxed. Had treatment twice already and enjoyed them very much. Highly recommending Vjazzy Wellness to anybody who needs a good reduction for their cellulite. Do You Want to Reduce Cellulite? Schedule a consultation or a cellulite reduction session in Las Vegas, now!